Anastasia Pozhidaeva was born and raised in Moscow. 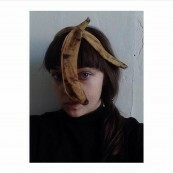 She is a graduate of The Rodchenko Art School and currently works as a freelance photographer and illustrator. Nastya finds inspiration in city landscapes and postindustrial aesthetics.